When you sail to South America with Azamara Club Cruises® your opportunities to explore this enchanting continent are endless. With incredible experiences from iconic to off-the-beaten path, we’re offering over 150 immersive shore excursions sure to suit any type of traveler. From the extraordinary Tierra del Fuego archipelago and the stark beauty of Antarctica to the pulsing rhythms and sizzling nightlife at Scenarium in Rio de Janeiro, let Azamara take you to extremes on our cruises to South America. In Brazil, discover the ecological diversity of lush rainforests, join a master chef on a culinary tour of São Paulo, and enjoy an ice-cold caipirinha at the end of the day…or at the start of another sparkling night. It takes two to tango in Buenos Aires, where you may want to hit the dance floor after feasting on a meal of Argentinian steak, or get an education in the colorful art of Fileteado. Perhaps you’d prefer cruising through the captivating fjords of Chile, or going for a walk on the wild side in Patagonia—renowned for one of the most unique ecosystems on the planet. Uruguay is still relatively undiscovered by travelers, but not by us. We’ll introduce you to the rich wine country surrounding Montevideo, and show you the way around one of the world’s most fashionable seaside resorts, Punta del Este. And if you’re a foodie, live it up in Lima. Dig in to the city’s eclectic culinary scene that embraces European, Asian, and Andean influences. Delicioso. Dive deeper into South America and go beyond port cities. Before or after your cruise, our Land & Sea Packages take you to iconic, breathtaking destinations. 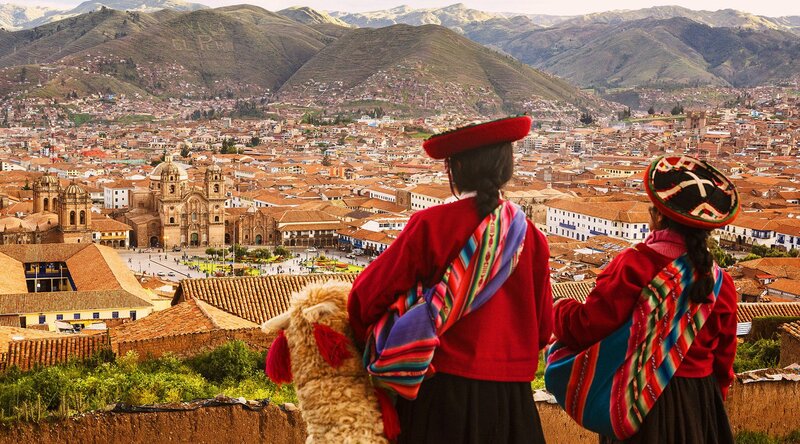 Discover ancestral Peruvian art in the Sacred Valley and one of the modern world’s seven wonders—Machu Picchu. Meet the locals of a self-sustaining Indigenous village in Argentina and experience the thundering Iguazu falls, then bounce over to Brazil to see this natural spectacle from a different perspective. These are once-in-a-lifetime travel moments you can’t pass up. Travel deeper in South America. Explore ancient empires, world wonders, and more. Visit Lima’s oldest house where you’ll enjoy the warm hospitality of the mansion’s heir, followed by a delicious meal. Meet Penélope Alzamora, a master of Peruvian ceviche and cuisine on this culinary journey into the heart of Lima. Evening#Spend an evening immersed in the vibrant nightlife of a destination– restaurants, galleries, theaters, and other hotspots. Experience a haunting visit to the Museo del Presidio prison at night.